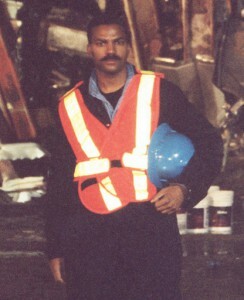 First Responder, and Photographer of the Iconic Black & White “STEEL STANDING” Photograph, Anthony Whitaker, On Location at Ground Zero, Lower Manhattan, September 2001. 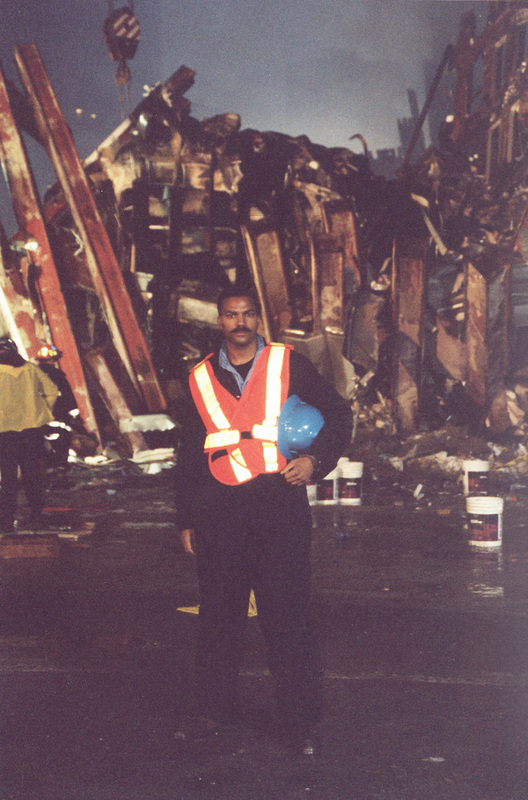 On September 11, 2001, a day forever etched in billions of people’s memories, I was dispatched to Ground Zero as a first responder to assist with the recovery efforts. I was a field employee working with a small team of experts whose objective was to isolate the hazardous exposed electrical grid from the immediate area and restore power to surrounding consumers. I was on location for seven consecutive days in what seemed like a war zone. One night while I was carrying out my orders I unexpectedly came face to face with the majestic steel ruin of the South Tower. So spectacular and striking was the physical essence of its presence it was as if I could hear the ruin speak, and this is what I heard, “I AM STEEL”, because that’s what it was. “I AM STANDING”, because that’s what it was doing. 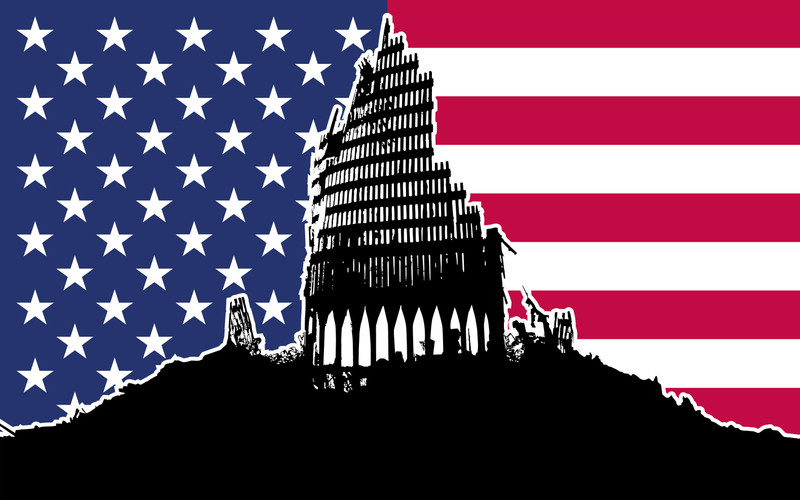 “I AM STEEL STANDING! !” cried out in my head. It literally seemed to call out its name, and identify itself by virtue of what it was, a 207 foot tall monolith of STEEL that was STANDING. Upon hearing this authoritative mantra like name, and most powerful affirmation, I immediately experienced an emotional catharsis. A very deep psychological healing and overwhelming sense of calm permeated throughout my entire being. Whatever fear and stress I possessed immediately began to subside. At that precise moment I knew I could get past anything. Being an artist I felt I was given the responsibility to capture this image. To put it more precisely, capture the sound of those words in a picture. My vision was that when others look upon this image they would hear and receive the same message. “A message of courage, strength, resilience and rebirth but always, a feeling of hope. After a bizarre sequence of events that appeared to be guided by a divine force, I was dispatched to the exact same location seven days later. It was very early in the morning maybe around 6 or 7AM. There it was again, the perfect light the same emotional feeling. That is when I captured the portrait of the steel ruin, September 18th, 2001. I was facing North, the sun was rising and emitting its brilliant rays from the East. I positioned myself on the Northeast corner of Albany Street and Washington Street and clicked six frames. Each time something magical occurred, I felt a meaning behind it. Think about it, Albany is the capital of New York and Washington the capital of the United States. It is surreal unusual coincidences like these in connection with this iconic image that hidden meanings, and messages behind them can literally fill a book. The sequence of these events is what makes this photograph more than just an iconic image, STEEL STANDING is a transcendental message. 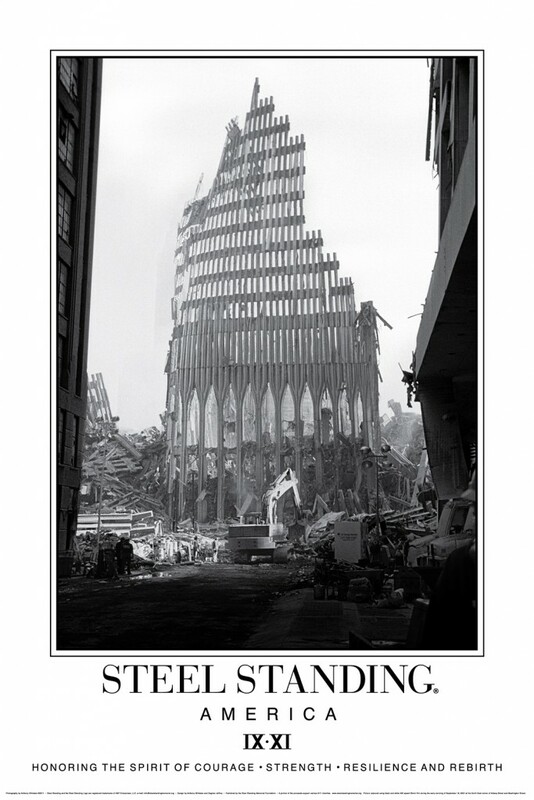 “STEEL STANDING simultaneously serves as a memorial that we never forget those whose lives were taken on 9/11 and at the same time there is no better way to honor those lost than to faithfully translate its’ inherent profound message into a unique and original universal symbol of hope”. STEEL STANDING’s vision is that it’s inspirational message transcend humanity to encourage peaceful behavior and provide families, loved ones and friends with the necessary motivation to maintain courage and strength throughout whatever challenges they may be faced with. Ask yourself this question, if you were to lose your life this very moment what would you want for your children, friends or loved ones? You would want them to carry on and attain the highest degree of happiness possible. I personally knew four people who perished that day and I am sure what they would wish for. Please help us help those most in need.